Vancouver Paintless Dent Repair and Removal is determined to build partnerships with the best service providers of automotive detailing and automotive care centers in the Vancouver area. We also want to develop great partnerships with some of the best websites on the internet that we feel give great information on automotive care in general. The above is the world's most expensive car. 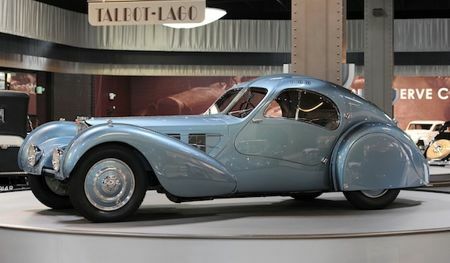 It is a 1936 Bugatti Type 57SC Atlantic. It is a perfect example of a perfectly maintained vehicle. The auction price on this car you ask? It last sold for over $30,000,000.00. Yes... over 30 million dollars and is considered a work of art! Keeping your car looking new will save you money and maintain your vehicle's resale value. At Vancouver Paintless Dent Repair, we suggest having your vehicle professionally detailed on a yearly basis. For a very modest price some automotive detailing companies will make your car look like new. Keeping your car looking new will keep you from trading it in and thus saving you thousands of dollars in depreciation and possibly financing fees. Vancouver Paintless Dent Repair also recommends maintenance of the mechanical part of the vehicle. We strongly suggest maintaining your vehicle's mechanical system according to the manufacturer's suggestions at a qualified service center. Our partnerships will help you in maintaining your vehicle. uniquedetailing.ca for all your auto detailing needs in the Vancouver area. For your convenience they offer mobile service at your home! Please visit Dent Science PDR for your repairs in North Fulton, North Atlanta, Georgia. Monte has been in the automotive industry for years and has been specializing in the art of P.D.R. since 2005. Pro Paintless Dent Removal serves all of Chicago. Should your vehicle require more traditional method of repair, Pro Paintless Dent Repair offers complete auto body and collision repair as well. Planet Hail in Australia is focused on hail damage repair as well as training individuals in P.D.R.. Visit their site here and find out more about P.D.R. in Australia. • How-To-Paintless-Dent-Repair.com • focuses on paintless dent repair training. Interested in learning how to become a professional paintless dent repair technician?